Alaska fishing at it’s best! 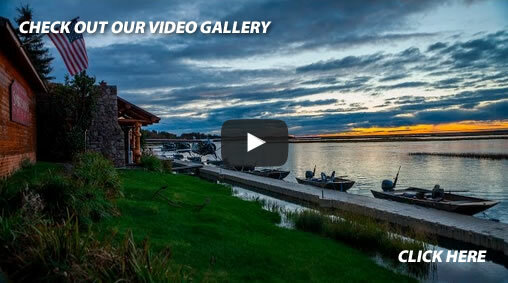 You are here: Alaska Fishing Lodges > Alaska fishing at it’s best! 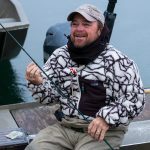 Alaska fishing has the reputation of offering anglers the best opportunity to have a successful fishing trip. What is successful? What ever you want your fishing trip to be, this “Last Frontier” can fulfill your wildest dreams about fishing. 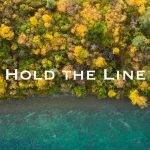 Giant salmon, unbelievable sized rainbow trout, and enormous halibut are the main targets for anglers making the long journey north. You can find yourself on an isolated Bristol Bay river fighting a 50-pound king salmon. You may be fly fishing and trying to match the fall hatch (salmon eggs) as you pursue the 30″ rainbow trout that you can see hiding behind a rock in the crystal clear Kvichak River. Or you may have decided to fish in the ocean for the delicious tasting Halibut. Whatever and however it is that you want to fish for, this is the place to be! A trip takes some careful planing. The basic season is from June through early October. That is the easy part. The next step is for the angler to decide what type of fish they want to catch. Is it salmon? If so, does it matter which species? 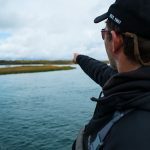 There are five species of Alaska salmon and all are unique and will offer the angler a different experience. Is the desired trip to catch trophy size rainbow Trout? Does the angler want to catch some of both salmon and rainbow Trout? Does the angler just want to catch a bunch of fish with no preference? Do you mind being with hundreds of people or do you want to be in a remote location? Our “road system”—any spot that can be accessed by road or walking—will be extremely crowded. The cost of planing to visit one of the road system spots is also less expensive than a remote fly-in lodge—but also less of an enjoyable experience. Is there a fear of flying on small floatplanes? These are all questions that the angler planning his/her trip must answer before making a decision on which lodge to book their trip with. After you have figured out what you want to accomplish from your trip, it is time to start researching which lodge you want to choose. The best lodges are in the southwestern part of the state. 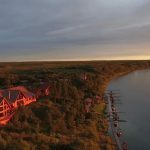 This area is also known as the Bristol Bay or Lake Iliamna area. These lodges all have similar programs. The programs at most of these high dollar end lodges is a daily fly-out setup. This means everyday you must fly from the lodge to another location to get to fish. This puts you on the lodges’ schedule, not your own. The main reason these lodges are expensive is because they do have to fly every guest everyday. Flying is very expensive. 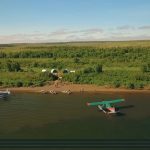 This is also very big state and most of these lodges are located on a lake that makes the average flight 40 minutes each way to the best spot. The absolute best way to go to is to one that has trophy fish on the river the lodge is located on; Offers the guest the opportunity to dictate his/her time; Offers unlimited guided time; offers fly-outs if they desire them; Has a full-time professional staff living at the lodge; Has a small amount of guests; Is in a remote location; and has a world class facility for the guests. We offer all of this and more! Call us today!